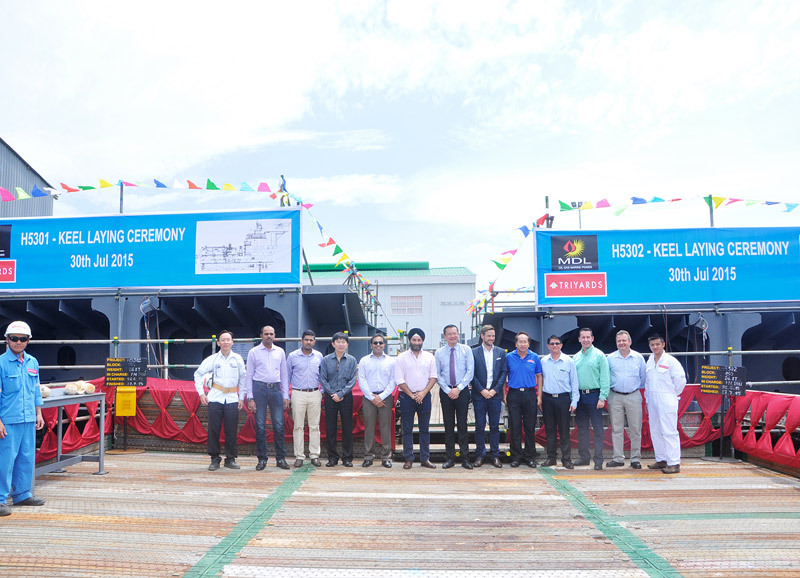 On July 30th, keels were laid for the first two vessels in the series ordered by MDL Energy. 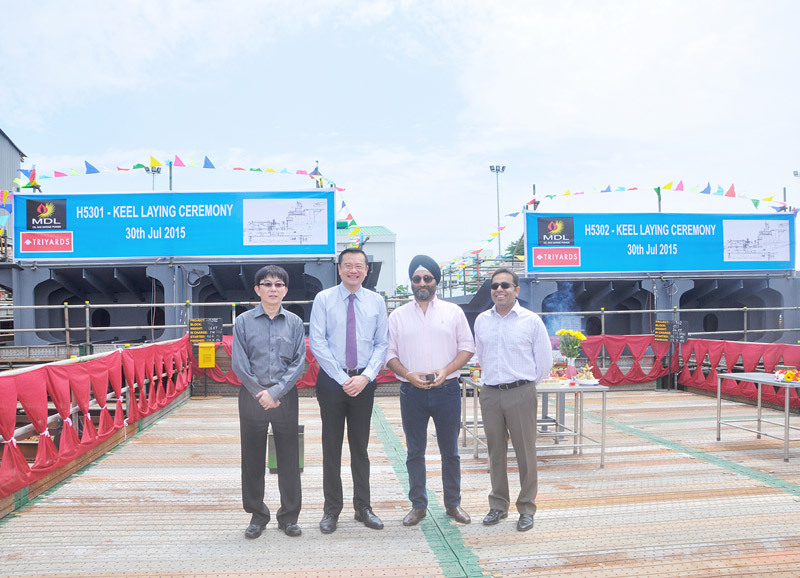 Mr Kulpreet Singh Sahni ( CEO MDL Energy) and Mr Eng Yew Chan ( CEO Triyards) celebrated “another milestone” towards the delivery of both high end units, scheduled for Q4 2016. MOKUL 1 & 2 ( Vik Sandvik design) will be providing high end IMR/ subsea construction services and cater for up to 101 marine and project crews (67 cabins) for international offshore operations.